Dreams has been a long time coming, and of course, when developer Media Molecule announced that they’re going to be running a closed beta, people were excited to see exactly what is possible with this title. We started seeing the developers tease some projects during live streams, but then we started seeing NDA’s being broken, one of the most noteworthy breaks was the P.T level recreated in the beta. Even the developers at Media Molecule have been getting hands-on with the beta and creating their own designs. One being John Beech who created a realistic Pool simulator using the beta version of Dreams using AI that’s still a work in progress. The level apparently took 20-30 hours to create according to the user ‘Project Genesis‘ who recorded themselves playing the developers level. You’ll find the video embedded below and it’s really quite a looker. The game features fully working controls for a Pool cue, and features the direction of your hit as the usual dotted line. Balls that are hit react accordingly with realistic physics, and the quality of the materials on all aspects of the level look remarkable. Polished wood, the fire flickering in the background, and no UI to distract you from marveling at the creation with the different views available. Of course, this creation is still a little rough around the edges, with some iffy follow-camera movements, and some jittering tilt-shift effects, but otherwise, it’s a fantastic example of what players can build. Additionally to this creation, others have been getting creative, with a project called Project Zero cropping up, a first-person title being made within the beta. And if you know who lives in that pineapple under the sea, you’ll be able to find a Bikini Bottom world in the works. If you remember back in November, the developers showed off a perfectly recreated Little Big Planet level made in Dreams. 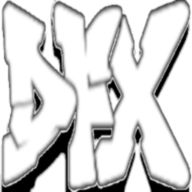 All made possible with the in-game tools they showed in action last year. Dreams is certainly looking to be a creative marvel for those who have a PS4, and it’s shaping up to be a nice looking exclusive. There’s also support for PSVR should you have access to the hardware required. There still isn’t a release date that has been confirmed, but it seems likely that Media Molecule might be bringing this out sometime this year. At least we can hope so. 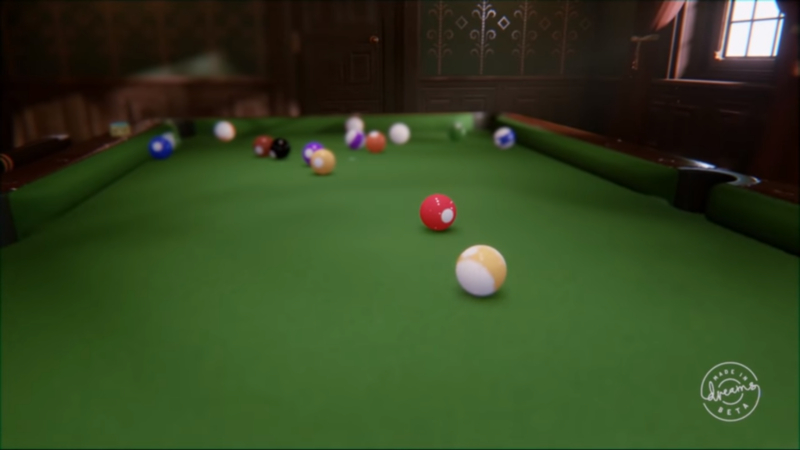 The post Dreams Developer Uses the PS4 Beta to Create a Playable Pool Game by Ben Bayliss appeared first on DualShockers.